Let’s be honest; living in Vancouver, most of us can’t really afford to quit our jobs to go back to school. I certainly couldn’t. I wanted to find a way to enhance my career in Vancouver’s Apparel Industry and to still keep my job. I came across the SFU Beedie School of Business Part-Time MBA and started working towards some of the credits online. Then, I joined my new classmates with classes on Tuesday and Thursday evenings after work. We have some of the best conversations in class because we all come from different academic and experiential backgrounds. Some of my classmates are looking to change industries completely, but I am still passionate about the industry in which I work. Recently, I noticed that there was a missed opportunity for people in Vancouver’s growing apparel industry to connect given that we don’t currently have a formal association. I decided to fill this void and to run a one-day event that would focus on bringing together Vancouver’s Apparel Industry professionals to network and discuss issues they are facing. I founded ApparelCamp. I couldn’t pull this idea together alone. My first stop was the Graduate Student Engagement Office. When I explained the concept to Stephanie, she was immediately supportive of my initiative to connect people in the industry, especially given the amount of Beedie alumni in the sector. The school stepped in as the venue sponsor for the event and on October 1st 2016 we ran the first annual ApparelCamp at the Segal Graduate School downtown. I modeled the event as an “unconference”. This is an informal format that requires participants to volunteer to speak or workshop about an industry issue. The attendees must then vote on the day for the topics that they want to attend. Only the topics that received enough votes are presented on. Creating an industry event was a great leadership opportunity for myself and for my colleagues who helped make the event a success. 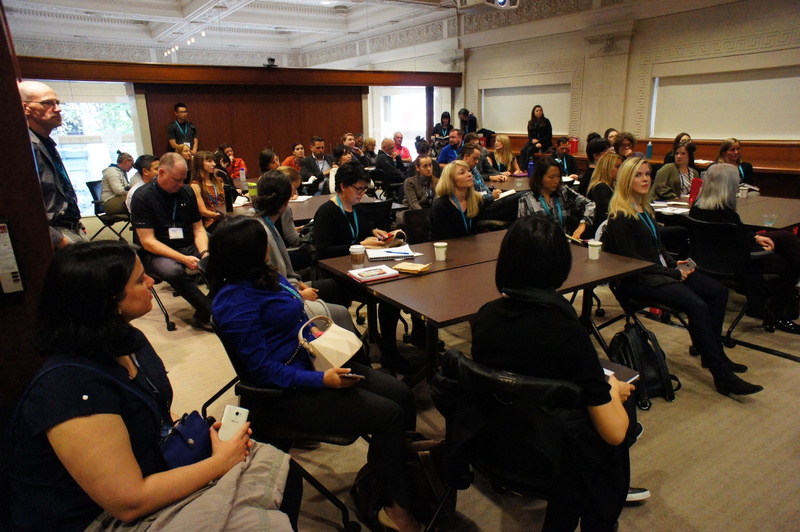 I think the reason that ApparelCamp was so well received was the high caliber of speakers that came forward to volunteer their expertise and time. The keynote was Lululemon’s VP of Global Sustainability, Esther Speck. 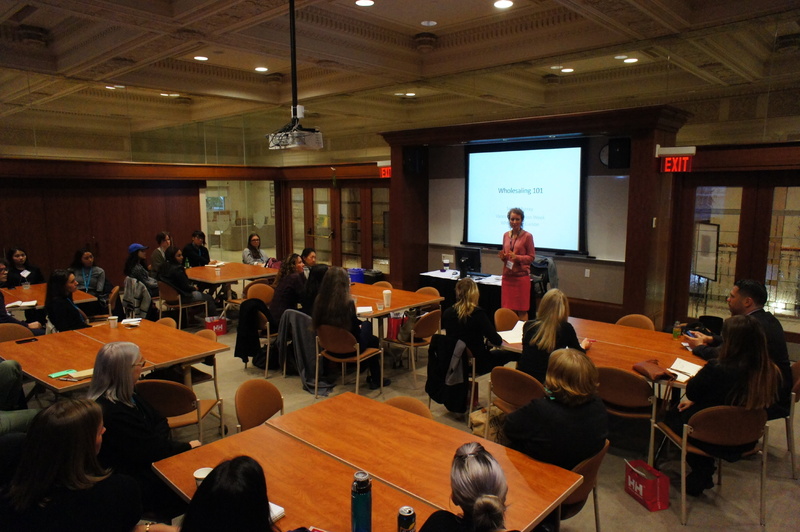 Without SFU’s relationship with Esther, we would not have been able to host such perfect keynote. Other speakers throughout the day also focused on sustainability issues, each looking at the problem from a different angle. The event was free to all participants and everyone was surprised to be fed at a free event! Apparel industry companies sponsored the event, which covered the costs. 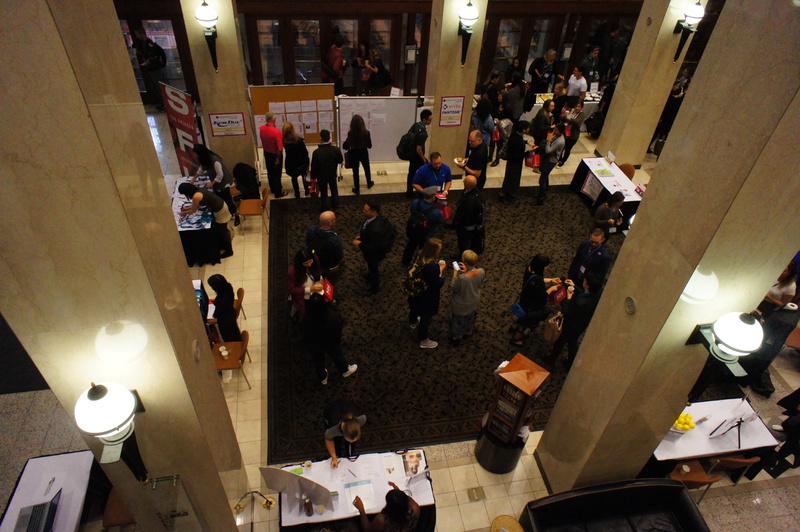 The organizing team was made up of 15 dedicated volunteers, ranging from SFU Beedie MBA Students, to apparel industry professionals, to Kwantlen Polytechnic Fashion & Technology students. I hope to continue harnessing my leadership skills by making ApparelCamp an annual industry event. I have learned so much inside of the classrooms at Beedie, but the ability to engage outside the classroom has opened the door to new opportunities. As a Beedie student, if you have an innovative idea that will create learning opportunities outside of the classroom, just talk to Stephanie Reimer and see how the Student Engagement Office can support you! Vanessa Fors has been working in the apparel industry for 16 years, taking on roles in Design and Product Management. She has experience in a variety of markets from children’s wear to women’s sportswear, to the active sports industry. As founder of the first “un-conference” for the apparel and soft goods industry in 2016: ApparelCamp, Vanessa continually seeks to find new ways to connect with and learn from the ever-changing product industry. 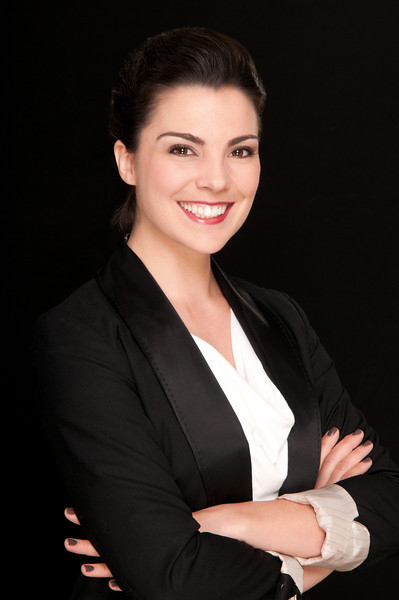 She is currently Product Manager for North America at Helly Hansen and an SFU Beedie School of Business MBA Candidate.